TJ Formal Dress Blog: Look for the TJFormal Commercial Coming Soon! 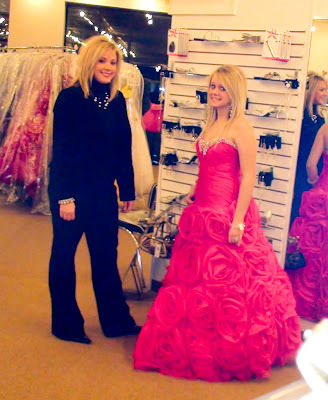 Yesterday, we had so much fun filming a prom commercial to run on the local Fox channel. 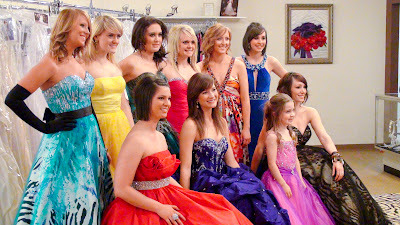 Our models chose their favorite prom dresses and a customer's daughter modeled a girl's pageant dress. Picking out jewelry, shoes, and accessories completed the looks! We are ready for Prom 2010! ...and wearing a gorgeous Terani gown! Can't wait to see it! You girls look AMAZING!! Looks fun! I really love all those short dresses... so cute!